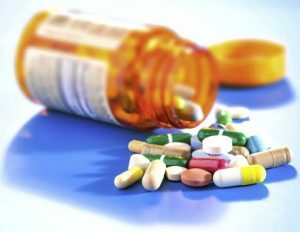 The use of certain prescription drugs is one of the most overlooked things that can completely derail a Michigan driver’s license restoration or clearance appeal. There is no mention of this in the Michigan Secretary of State’s “Driver License Appeal Practice Manual” or “Driver License Appeal Promulgated Rules” (both last updated in 2005), so the only way a lawyer learns about the role of drugs in license appeal cases is by finding out the hard way. It has been a while since I’ve addressed this topic and, with recent and ongoing developments in Michigan’s Medical Marihuana law (for my part, I have always spelled it “marijuana”), I think it’s time we look at this rather deep subject over several installments. In this piece, I am going to look at the role of prescription medications excluding medical marihuana, which we’ll cover in an upcoming, separate article. Our examination here begins with the assumption that a person has honestly quit drinking because that is a necessary and non-negotiable first requirement to win a license appeal. Part of filing a license restoration or clearance appeal is answering questions about any prescription medication a person takes. This information must be listed in the “Request for Hearing” form required by the Secretary of State’s Administrative Hearing Section (AHS – formerly known as the DAAD, and the DLAD before that). In addition, and depending on the kind of medication being used, it must be listed and properly addressed by the evaluator in the substance use evaluation form. The catch, and the key to all of this, is that single word in the preceding sentence: “properly.” It’s easy throw that word out and have the reader gloss over it without giving it much thought, in the way one might read something like, “An investment of $10,000 today, properly managed, can grow to ten times that amount in a decade or even less” and not realize that, in that case, “properly managed” means finding the one-in-a-million, miracle investment. In the world of license appeals, any prescription drug use is going to be examined closely, so the lawyer better know what will fly and what will crash. In that sense, then, “properly addressed” involves a lot. It first presumes that the lawyer sends his or her client to a competent, experience and qualified substance abuse counselor for the evaluation. This is where things can start to get deep, because there are very few lawyers, like me, whose practice focuses primarily on driver’s license restoration cases, while there are tons of others who say they “do” them. Those of us who concentrate in this field usually have a very small circle of evaluators we use, and, in my case, one who is primary amongst them all. In turn, there is no shortage of counselors who claim to “do” evaluations, because the form used by the state seems (emphasis here on “seems”) pretty straightforward. It takes a long time, and a lot of time, before a counselor learns all the things that go into the evaluation that are NOT obvious from just looking at it. For my part, I have taken my primary evaluator with me to multiple license appeal hearings to see, in person, how the evaluation is examined and interpreted by the Secretary of State’s hearing officers. That’s the kind of continuous and direct experience that allows an evaluator to “properly address” something. The state, for its part, has several concerns about drugs and medication. The issue that arises most frequently in license appeals has to do with the use of mood or mind-altering medications, or those that are potentially habit-forming. Here’s the problem in a nutshell: in the recovery world, avoiding such drugs is basic stuff. In other words, anyone who has gone through any good counseling or treatment program, or anyone who has ever spent any time in AA will know that a person supposedly in recovery should not use narcotic medications or any kind of drug that can alter the mind or be habit forming. There are, of course, certain medical exceptions to this, and we’ll get to them, but a person, especially someone in early recovery, should not be taking things like Xanax or Vicodin. No M’am. In fact, when I was taken to the hospital, I told them right away that I was in recovery and shouldn’t take any kind of narcotics, if possible.” I think they gave me a medication named Toradol for the night I was there, and I’ve been on Motrin, as needed, ever since. I’ve heard the stories of people who relapsed after taking pain meds or tranquilizers or sleeping pills, so I’m careful. I don’t even use mouthwash with alcohol in it. It is almost assumed that anyone who has struggled with drinking knows he or she should not use ANY drug that is mood or mind-altering or potentially habit forming. This includes whole classes like amphetamines, benzodiazepines, narcotics and any kind of “analogue.” Because this is considered “basic” recovery stuff, any hearing officer will be understandably alarmed if someone shows up, claims to be sober, but then admits to using these highly risky medications. The problem is that many people who have managed to get and stay sober without intense treatment don’t know this. There are, of course, some people who can and do use such medications and without problems, and there are some who will never be in a position to have them prescribed in the first place. This is where my special expertise comes in. Beyond just being a Michigan driver’s license restoration lawyer, I also bring a clinical background to the table, having completed a full post-graduate program of addiction studies. This allows me to not only identify any potential issues, but to be able to resolve them before they derail a license appeal. In addition, this is where we encounter some of those exceptions I mentioned earlier. Often enough, a person otherwise sober will have ADD or ADHD, and take something like Adderall or Ritalin, both medications that can alter one’s mood and be habit forming. When I handle a license case for such a person, I usually need a letter from his or her doctor, and when I do, I need that letter to address certain specific things. Usually, I wind up having to write the doctor and explain things so that the letter I get back clearly and specifically addresses those necessary points. I understand that most physicians are busy enough, but unless directed otherwise, a typical doctor’s letter will simply indicate that so-and-so is his or her patient and is prescribed X, Y, or Z medication, and that’s far from good enough. In terms of navigating these exceptions, I have won licenses back for clients with inoperable physical conditions who have had no alternative other than to rely upon narcotic pain medications. How to handle “risky” drugs in the context of a license appeal varies from case to case. And although it will be the subject of an upcoming article, there is no workaround, at least at this point, for medical marijuana. In other words, I can get someone back on the road who uses Adderall or Vicodin or Xanax, but there is no way to do that for anyone who uses medical marijuana. Stay tuned. As I mentioned earlier, this can all get complicated; very complicated. When you hire a lawyer you expect him or her to successfully untangle all this for you, and I certainly do for my clients. Beyond that, however, the larger points here are that certain medications are considered risky, and shouldn’t be used. In some cases, though, that’s just not possible, so if a person must take them, it’s best if they’ve been up front with their doctor about their previous alcohol abuse or dependence (meaning that it’s not good if they failed to disclose that). In the real world, that was either done or not. If it was done, then I need to help the doctor put together a letter with the right kind of information for the hearing officer. If the client hasn’t told their doctor about their previous relationship to alcohol, I might still be able to get a good letter, or I may just have to come up with a different, but effective workaround. If you get all that, then you got the drift of this article. If you’ve honestly quit drinking and need to either win back your Michigan driver’s license or obtain the clearance of a Michigan hold on your driving record, I can do that. Be a good consumer and read around, then start checking around. All of my consultations are done over the phone, right when you call, and you can reach my office Monday through Friday, from 8:30 a.m. until 5:00 p.m. (EST) at 586-465-1980. We’re here to help.